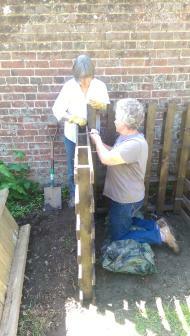 Eric and Lesley have coordinated their efforts to renew and maintain our composting bins. Lesley identified the need for replacement of our 3-bay wooden bins and offered to supervise the construction of a 2-bay system made from wooden pallets. Mary, Peter, Lesley and Susan collected 7 pallets which were donated by a local factory. 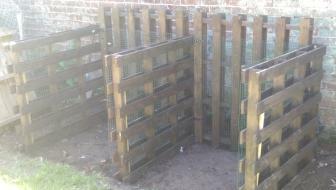 The bins were built with 5 pallets and lined with plastic netting and are now in use. As seen here Sue helped out with the construction. 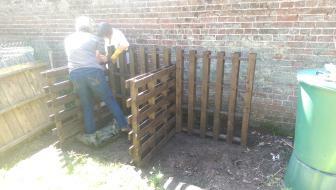 BWGA were asked by the Alexandra Park Green House group to attend their Chelsea Fringe Event n May 28th May. 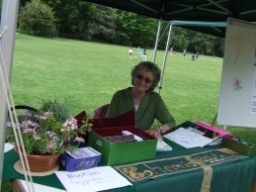 Susan, Darren and Mary talked to over 50 people about the Bohemia walled garden ,so even more people know about the garden. 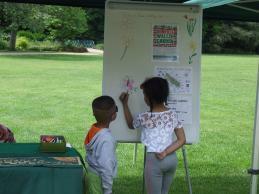 We had the white board where children and adults could draw a nature picture. The picture shows the first child to do a drawing. 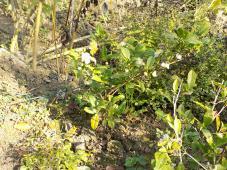 This plant is Camellia sinensis (below) and is used for the production of tea. The same plant is used to create white, black, green and oolong tea and it is through the processing of the leaves that different tasting teas are made. It is native to the high mountains of southern China (sinensis means 'from China'), but it is quite hardy to frosts, and if given plenty of rain water, which luckily we are usually able to provide, can grow well in this country. 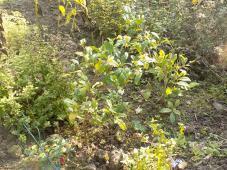 I have two tea plants on my plot. The larger one (in flower) I planted about 3 years ago and it would have been a couple of years old when I bought it, and this is the one I have plucked leaves from and made several cups of green tea. In the Spring, I hope to continue harvesting enough to make a few pots of black tea - as yet, I haven't got enough. I should be able to use the smaller plant then too, assuming it makes it through the winter. 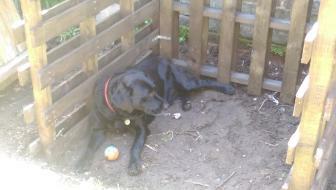 They are rather slow growing plants, and I now realise I need quite a few to provide me with enough tea. They are quite expensive to buy as small plants, so it was a bit of a blow to loose the first one I planted in a very cold winter a few years ago, but the survival of these two have bolstered my confidence, so I hope to add to my stock soon.